Product #60767 | SKU Mi2 | 0.0 (no ratings yet) Thanks for your rating! 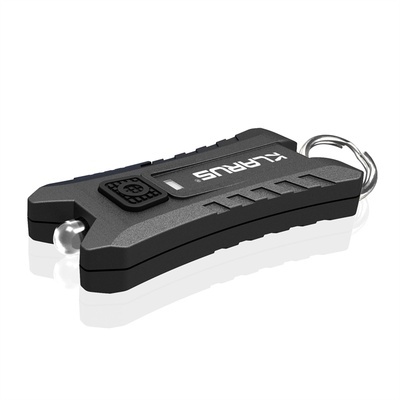 The Klarus Mi2 USB Keychain Light is a small-sized light which offers a durable design. This keychain light handles the wear-and-tear of daily carryings, such as when attached to your keyring. This light measures just 5.5cm long and includes a keyring for easy attachment to your keychain or to a bag or a pack. This gives you the ability to carry a small-sized light with you at all times, without worrying about the flashlight becoming scratched or damaged.